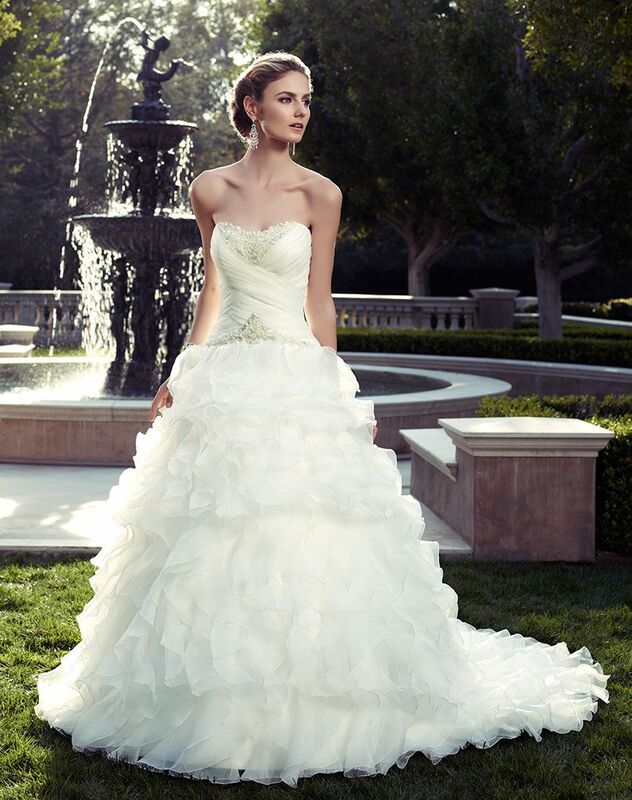 Strapless, soft sweetheart neckline with criss cross pleating on bodice. Crystals, rhinestones, and pearls beaded appliqué is on the front neckline and along entire dropped waist seam. Long layers of ruffles create the A-line skirt overlay and gown is finished with crystal buttons along the zipper. This gown features an inside hook and eye fit panel.